Presenting yourself or your company as being modeled after a person of great accomplishment has been a common promotional tactic for as long as there has been print media. 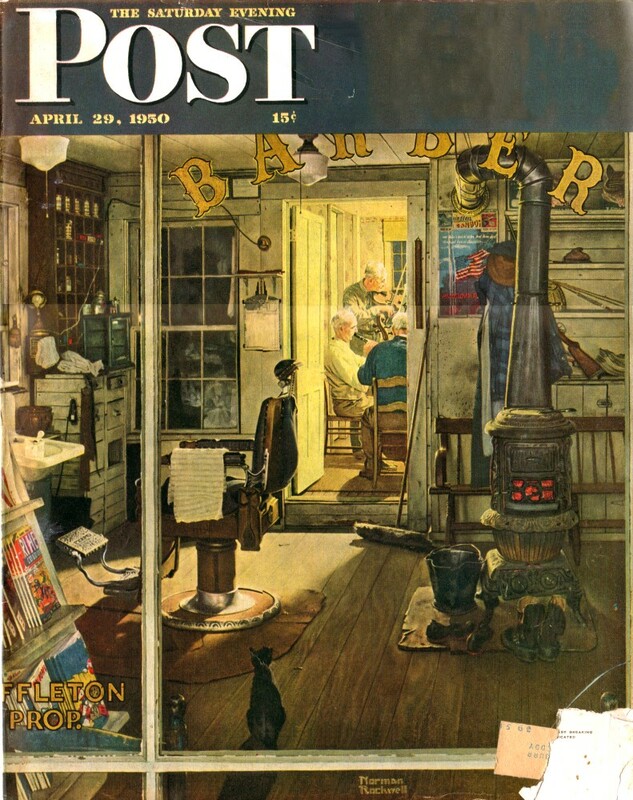 The John Hancock chose in this issue of The Saturday Evening Post to suggest, albeit by an indirect approach, to elicit the admiration Americans had for Thomas Edison' lust for innovation and desire to make people's lives better in hopes that readers would associate Edison with the insurance company. 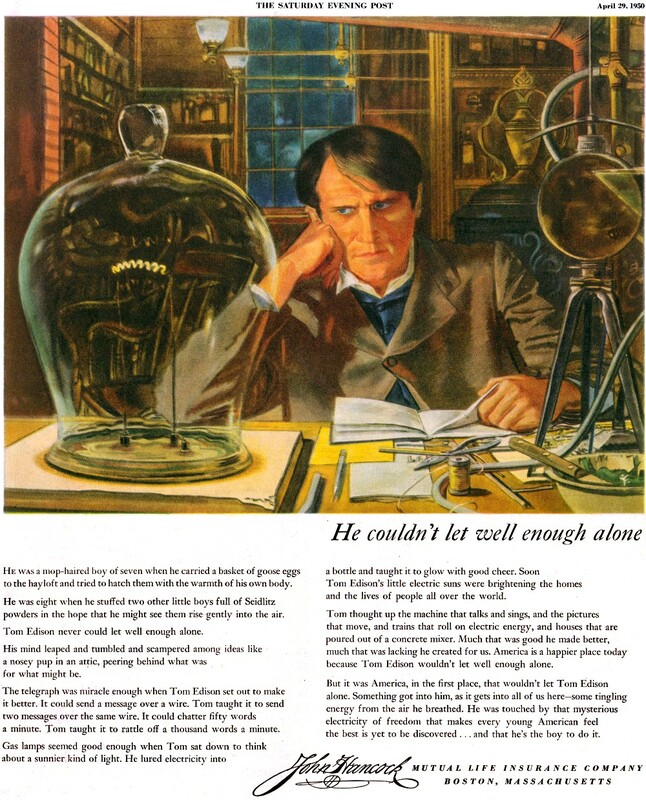 While the juxtaposition is strained, I do like one line in particular, "He lured electricity into a bottle and taught it to glow with good cheer." This short tribute to on of the world's greatest engineers is worth your a few moments of your valuable time.